Analysis of wide range body or bar (WRB) is the most efficient way to exploit changes in supply/demand or changes in volatility for profits. The trading manual has not been available since 2005 and it never cost $497 as intentionally stated by a few trolls nor were there any comments in the manual about any user's ability to duplicate my profit level also as intentionally stated by a few trolls. In fact, the only comments in the manual about my own profit level involved a warning with reasons about why the user will not be able to achieve my profit level because the manual was customized for that particular reader only...a reader that I personally know, a reader that had existing problems (not related to trading) prior to their use of the manual. A reader that needed to resolve the personal problems that they explained to me prior to trading via the education contents in the manual. No promises, no guarantees were given verbally nor written in any communication with the reader. Therefore, any dreams you may have via someone using the trading manual that was specifically designed only for that trader for market conditions specific to those years...that's your error/fault. You can not teach how to trade via a book, online course, webinar, podcast or forum message posts. Those that believes its possible to teach to trade successfully (online) are lazy traders that will not be successful in trading. Reality, you can only teach a trade strategy (e.g. via a book) whereas learning how to trade can only be successful via in person mentoring for many months in live trading with real money on the line. Our strong beliefs about the above will now give you an understanding about the foundation of the trading manual...a hard print book of only 7 copies...two copies sold, three copies given away for free and I have the two remaining copies on a book shelf in my home...gathering dust. The trading manual revealed the strategies that I used to trade in current market conditions of 2005...not suitable for application in today's market conditions. More importantly, do not be misled by the few trolls out there that refer to either the WRB Analysis free study guide as the trading manual or that the Volatility Trading Report is the trading manual or that any other service (free or fee-base) is the trading manual. The trading manual is closed...it has not been sold since 2005 and there were never any updates beyond 2005 to make it suitable for today's market conditions involving five specific markets that it was designed for application...Hang Seng HSI futures, Eurex DAX futures, Treasury ZB futures, Emini ER2 futures and Euronext CAC40 futures. In contrast, some of these trolls are stating that I said that the trading manual is applicable for all markets. As you can see, there's no mentioning of a "trade manual" and our trade signal strategies are only suitable for the listed markets at the above link. In addition, the price action analysis called WRB Analysis is applicable to markets that have WRB intervals and WRB Hidden GAP intervals. Thus, not all markets have WRB Hidden GAP intervals. 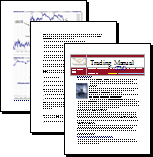 Further, although the trading manual is not discussed at the trading instruments webpage...the trading manual was not suitable nor applicable for trading stocks. Regardless, the trading manual was only applicable to the above specific 5 futures markets. Yet, I will now give more details about the trading manual because some trolls that have never seen the trading manual...these trolls are lying just to confuse you into thinking the trading manual was sold to them. In fact, none of these trolls are able to produce a copy of the trading manual after they publicly lied and stated they purchased the "trading manual". In fact, to give you a peak into the minds of these trolls...one particular troll stated I avoided showing him my broker statements when in fact they are posted at the website along with the fact that this particular troll was a user of the screen sharing...we all shared screens of our trading that allowed each other to see each user executing trades in their broker platform and then posting those exact same trades in the free chat room. This particular troll is now banned from the free chat room, banned from the forum and banned from the website prior to his false statements due to another incident. Simply, he's just retailiating for the bans. Thus, if someone ask to see my broker statements...I'm going to send them a link to this webpage that contains an image like the above and I'm going to say there's are many many more like the above image of many many different trading days for many years along with an archive forum that currrently stores clients broker statements and clients real time trades. Now back to the trading manual. The manual was only sold in person by me after the client watched me trade in person in front of his/her two eyes for a duration of 10 - 20 trading days from my trading account via real money (no simulation trading)...1/4 of the meetings took place at my home in France and the remainder meetings took place in Germany/Portugal at their homes on their computers. Further, I'm bi-lingual (French, English) in discussing the financial markets to others although I'm speak a 3rd language that I do not use to discuss the financial markets...its my native language. In addition, the old website page for the manual was in English...while the manual was actually sold only in France although the client(s) were French while residing Germany or Portugal. Thus, the trading manual was only printed in French because the clients were fluent in French and the "trading manual" was edited/printed by a French publishing firm. There were never any copies sold or given away for free to anyone from North America (United States or Canada)...there was never an English version of the trading manual although the old webpage that marketed the trading manual was in English. The goal was to create versions in Portuguese, German, English, Italian to compliment the French version. Unfortunately, it was too large of a project for me because there was problems with the family photography business that had most of my attention & energy...making me realize the limits of myself to manage trading & photography business. Simply, I couldn't do both and trying to produce versions in multiple languages was a project that would have ended in disaster in 2005. It was just too big of a project although TheStrategyLab website is in English. If you're curious, the cost of the trading manual was $973 (black & white) & $1021 (color). The only language of the trading manual were sold in French that contained 30 topics (chapters) involving trade signal strategies, WRB Analysis Tutorial Chapter 1 - 3, key market events for that specific trading instrument, risk management for that client, position size management for that client plus a photo of me as a teenager with one of my favorite photographers on the first page (signed with my signature)...customized trading manual for each client that was different than the customized trading manual of another client. Today, some of these websites are now talking negative about TheStrategyLab after we exposed them between 2008 - 2012 when we discover a few of them selling our content without our permission...violating our copyright protection policy along with creating lies about TheStrategyLab via their secretly affiliated review websites. Once again, don't believe the trolls...you can find out information about me at the below link. Regardless, if you meet someone that states they purchase the trading manual...ask them what was the personal hand written message I wrote to them in French on the first page in the trading manual. This message includes a quote by one of my favorite French photographers including an old image of me standing side by side with him when I was a teenager. If they have this...its proof that they have one of the only available five copies of the trading manual. The manual was not a digital download although I once posted an image excerpt (not the image below) from the manual back in 2004 and told a few in 2002 that I had plans to make the manual available in English...plans that were later abandon. By the way, I use to do screen sharing with members of the free chat room as shown in the captured image on the left during screen sharing that I made for marketing purposes. 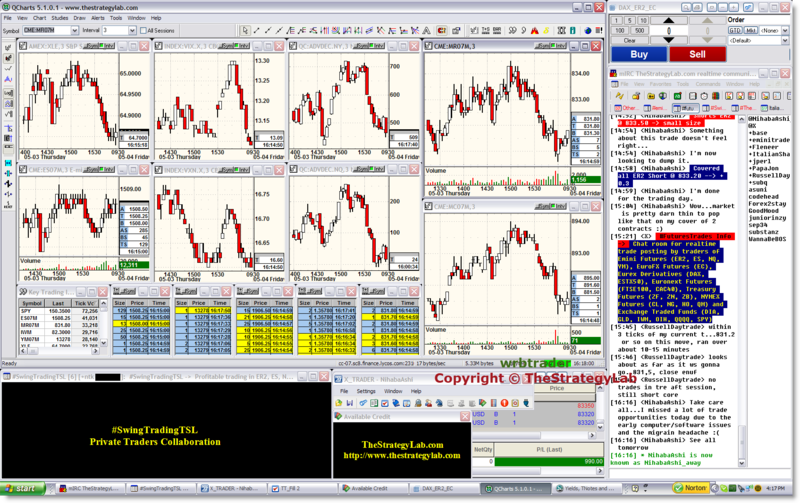 I started doing such a few years after the trading manual was closed and I was no longer trading in front of traders own two eyes in their homes or my own home...I did the screen sharing for many years until 2015 (only for those I trusted). I did such not as a signal calling service, not for a mentoring service and not to be helpful to other traders and there was no education provided during the screen sharing. The screen sharing was just for verification only just in case I decided to use the captured images from the screen sharing at a later date. I've made similar images of many different trading days. Yet, the main difference between the trading manual and the current digital education content at TheStrategyLab is the manual trade strategies are different than the current digital education content because the manual did not include the advance WRB Analysis education content. Also, there were other variables critical to my trading results that were not discussed in the trading manual such as trader psychology, risk management, position size management and the importance of trade journals...these particular topics are available for free via discussions with me only in the free chat room. Other differences is that the manual included market tendencies involving specific trading instruments and the current digital education content does not include the market tendencies. Further, the manual was "customized" for each trader. Simply, a manual for one client would not be suitable for another client trading a different asset. Here's an example so that you can better understand. If a client states he/she trades Treasury ZB futures via the 15min chart...the manual was customized via only having chart examples of Treasury ZB futures via the 15min chart via real money trade examples in the same broker platform used by the trader. Therefore, its obviously that the same manual would not be suitable for another client that trades the Euronext CAC40 futures via the 3min chart...it would just be too confusing to the trader using a customized manual that was designed for another trader that traded a different trading instrument (different asset) especially due to the fact that some of the rule base definitions were "different" for one trading instrument in comparison to another trading instrument. Also, the customization of the trading manual was for security reasons...to limit/minimize any copyright violation. Therefore, I quickly realize the manual was too big of a project for me due to the customization and it was misinterpreted as mentoring via the video recordings of live trades by traders using WRB Analysis after I discover those that I sold the manual too had shared the live recordings with others that were seeking to be mentored. I do not offer a mentor service and those asking about the manual by email...they gave me the impression they were really looking for mentoring. Regardless, I soon abandon the trade manual within a few years after starting it in 2002 although there was a growing request for the trade manual. Once again, I only sold 5 copies of the trading manual and they only sold in France...the location where I marketed the manual while on vacations or visiting relatives...sold only to traders I met in person and traded with side by side. They were customized for traders in the Hang Seng HSI futures, Eurex DAX futures, Treasury ZB futures, Emini ER2 futures and Euronext CAC40 futures. Each of these traders that order the manual...it took me about two months to create each customized copy of the trading manual for that trader including creating the chart examples & broker trade platform via the same chart vendor and broker that was used by the trader...after trading side by side with the trader. Three of the five traders are still trading today as of 2017 after developing their own trade methods with key concepts from the trading manual. The two traders that stopped trading...one took a job offer at a financial institution in France an the other quit trading after a series of serious health problems that included losing his legs to diabetes. He now lives in Germany and is retired. As a reminder, do not believe the tall tales of the trolls...the trading manual was only in French including the audio content on the DVDs. Further, the manual gave recommendations with contact info of verified traders that had mastered WRB Analysis free study guide that included videos of those traders placing live trades in their trading platform...live real-money trading from their own trading accounts...trading the same trading instrument as those the manual was sold too. Today, TheStrategyLab no longer gives recommendations about services by other traders that use WRB Analysis and we may one day start our own mentorship (coaching) program in which we will hire traders that have mastered WRB Analysis to mentor other clients (new users) in their own countries that want to learn/apply WRB Analysis. Regardless, its possible that some traders today refer to the current digital education content as the "trading manual" in error because they're unfamiliar with the website or they're listening to someone that's a troll that intentionally wants to confuse readers about TheStrategyLab education content. Now you know the brief history of the words "trading manual" and some traders today are continuing to post misinformation in calling either the Volatility Trading Report (VTR) the manual, WRB Analysis free study guide the manual or the Advance WRB Analysis Chapters 4 - 12 the manual. Therefore, we've listed below our education content and as you can see there's no reference to the words "trading manual" in any of the below education content that's English (not French like the trading manual). "I tested it on YM, Tbonds, FDAX, ER2. 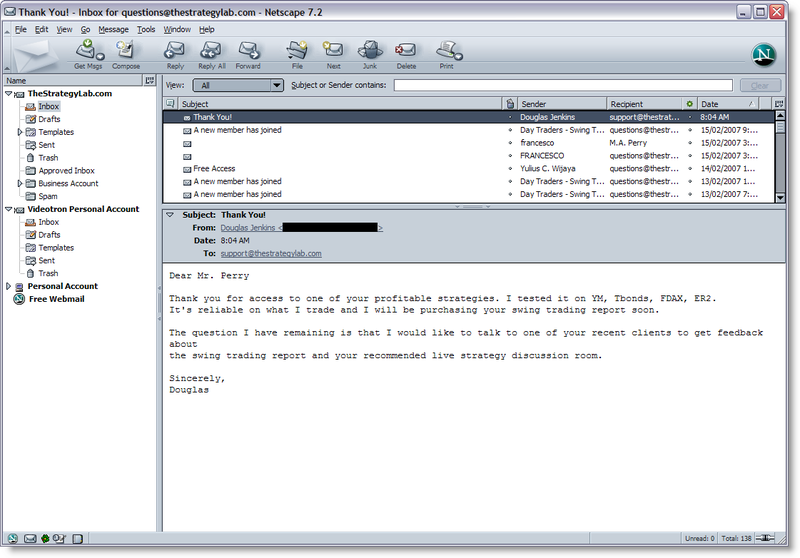 It's reliable on what I trade and I will be purchasing your swing trading report soon." "In all fairness...I give credit to these results to Niha and what I have learned from him." "Your material is exceptional, its REVOLUTIONARY, seriously." Copyright © 2002 - 2018. The Strategy Lab. All rights reserved.